Published: Sept. 27, 2015 at 03:01 p.m. Published: Aug. 28, 2015 at 09:19 p.m. 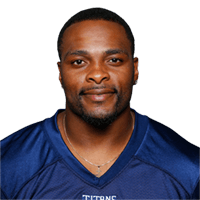 Published: Aug. 23, 2015 at 08:29 p.m.
Tennessee Titans cornerback Perrish Cox intercepts a pass from St. Louis Rams quarterback Nick Foles and returns it for a 24-yard touchdown.